Today I will share with you how just this past week, I successfully located a fairly elusive female ancestor and why I am so glad I cared enough to keep looking for her. Before I begin I think you should know a couple of things. 1. I am not originally from Utah, nor did I ever think I would one day live in Utah. 2. My husband and I are now stationed in Salt Lake City. 3. Ironically, my Grandfather’s stepdad –my Step-Great Grandfather (?) — whom I will refer to as “Grandpa Boyer,” was born in a nearby county. 4. While I’m fairly certain there are still people living in this area who are descended from Grandpa Boyer’s same family line, I have never met any of them. 5. I recently took the time to digitally scan one of my grandfather’s old vacation scrapbooks. The scrapbook included pictures and captions from two separate family road trips (in the 1950s) to Salt Lake City where the family, including my Dad, visited with Grandpa Boyer’s Utah relatives  . Seeing these photos made me curious about the people in them. I easily located Aunt Lu in various record sets through 1950s before her trail grew cold. Yet, I still had questions about her. Did she live a long life? Did she battle sickness the way her brother did  ? Where is she buried? The most straightforward way to answer these questions would likely come from finding her death record. Problem was, I couldn’t find it. I considered searching through newspaper obituaries in hopes of finding a date of death, but without knowing whether one existed and without a clue of what dates to search, I decided that strategy might take a while. So, instead, I followed the number one research strategy to locate an elusive female ancestor: I followed a male relative instead; in this case, her husband. I identified Aunt Lu’s husband with little trouble, following a number of clues to conclusive evidence. I won’t go into detail as that is not the scope of this post. Even though I couldn’t find Aunt Lu’s death information, I easily found her husband’s. His 1950 death certificate named his burial place. So, at first chance, I visited the cemetery where he was buried. Sure enough, not only was he buried there, but Aunt Lu was right next to him. From her gravestone inscription, it appears she remarried at some point and lived to be nearly 90 years old  . Though she remarried, she is buried next to her first husband. While this might seem unusual, I have seen this type of arrangement more than once. At any rate, I am now armed with new information to hopefully find out even more. 1. Beginning with my first read of Little House in the Big Woods as a first grader, I have had a life-long fascination with all things Laura Ingalls Wilder. 2. I have read pretty much every book ever published by or about Laura Ingalls Wilder. I probably have more Laura Ingalls Wilder books on my shelf than I do genealogy books. 3. Long before I started seriously researching my family tree, my first archive repository research experience came when I traveled to the Herbert Hoover Presidential Library to photocopy Wilder’s (at the time) unpublished manuscript, Pioneer Girl. 4. When I was a kid I used to dream that maybe I was somehow related to Laura Ingalls Wilder (Which I am not. We share no ethnic heritage, and while Wilder was born in 1867  , not one ancestor in my direct line came to America before the late 19th century). Fast forward to 2014 when I began the first of a two-part, non-credit continuing-education course offered through Missouri State University on the life of Laura Ingalls Wilder. Laura Ingalls Wilder and her husband, Almanzo Wilder had two children, a daughter, Rose, and an infant son who died shortly after his birth . Rose, who today is less well known than her mother, was actually a famous journalist and author in her day, writing under the byline, Rose Wilder Lane. 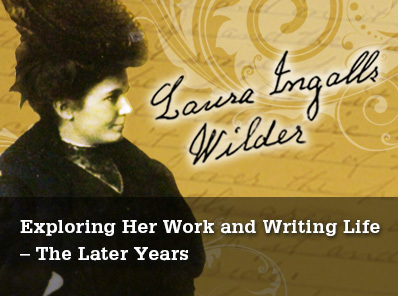 Through Lane’s valuable editorial advice and publishing connections, Laura Ingalls Wilder came to write and publish her famous children’s series . Lane herself left no surviving children, but her personal correspondence reveals that she too had a son who did not survive infancy . For some time, people like myself who cared enough to wonder knew little about Lane’s son apart from a few mentions of him found in Lane’s personal correspondence. During the time of her pregnancy, she and her husband traveled a great deal . No one knew when or where the baby was born. Through the Missouri State course, I learned about new research which answered these questions. “Infant Lane” was stillborn at Holy Cross hospital in Salt Lake City. His parents were staying the Colonial Hotel at the time. He was buried in Salt Lake’s Mt. Olivet Cemetery  . Baby Lane’s grave bears no marker, but burial and cemetery records show the location of his final resting place . Of course, I visited the cemetery and paid my respects. Almost exactly one year later, I visited the same cemetery again. This time I came looking for Aunt Lu, my great-grandfather’s sister. I found her final resting place less than 50 yards away from that of Laura Ingalls Wilder’s only grandbaby  . Yeah, that’s it. Nothing earth shattering, I know. But when I take all the components of this story together – my move to Salt Lake, my Grandpa’s scrapbook, the Missouri State course – and how all these things came together, leading me to this discovery, I can’t help but find it all coincidental and more than a little remarkable. [Name withheld] Scrapbook. ca. 1948-1960; privately held by [name and address for private use,] Illinois, 2015. [Name withheld], phone conversation with author, 4 March 2015; notes in authors files. Also [name withheld], Illinois [e-address for private use], to author, email 18 May 2015, “Grandpa Boyer,” Gmail Genealogy Folder, privately held by author, [(E-address), & street address for private use,] Salt Lake City, Utah. This email describes how “Grandpa Boyer” played with his grandson for hours on end even when “Grandpa Boyer” undoubtedly felt very sick from his battle with cancer. Sheena Stovall, National Archives, St. Louis, Missouri [e-address for private use] to author, email, 17 August 2015, Boyer, [first name withheld] Military Records, Gmail Genealogy Folder, privately held by author, [[E-address), & street address for private use,] Salt Lake City, Utah. This email states that [“Grandpa Boyer’s”] military service records list [“Aunt Lu”] as his next of kin. Also see [Names withheld] & Boyer Relatives photograph, circa 1952, digital image ca. 2015, privately held by author, [address for private use,] Salt Lake City, Utah, 2015. 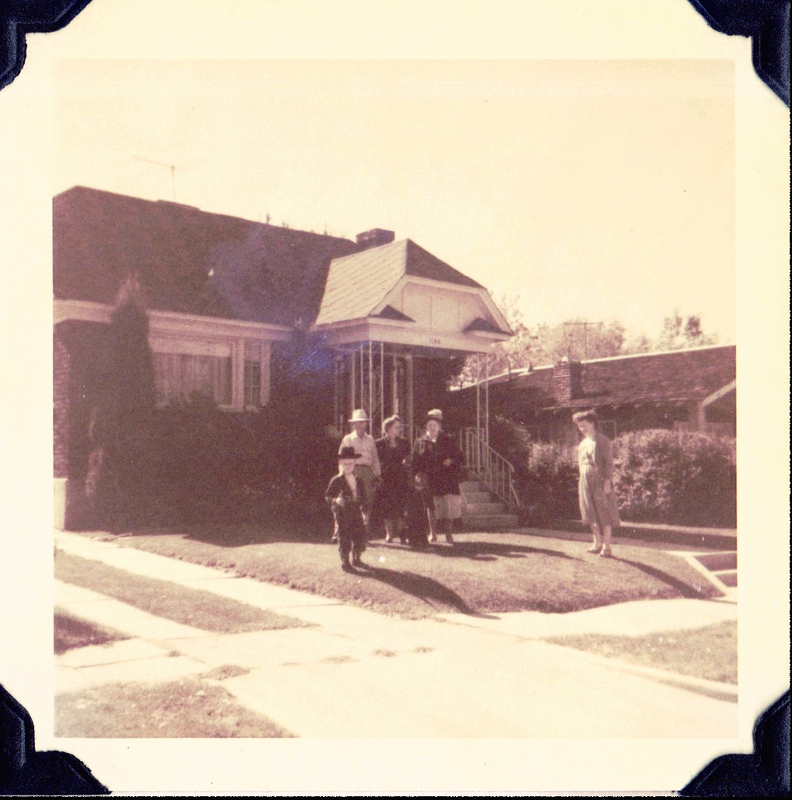 The photo, most likely taken at the Boyer home in Chicago shows “Aunt Lu” sitting at the feet of “Grandpa Boyer” with her arm resting on his knee. His dress and appearance suggest the photo was taken at the time of his sickness, probably shortly before his passing. The rest of the family is gathered around them. [name withheld] to author, email, 18 May 2015. According to the email, “Grandpa Boyer” eventually lost a battle with cancer. Mt. Olivet Cemetery (Salt Lake City, Utah), undated map, cross referenced with office records for [name withheld], privately held by author, Salt Lake City, 2014. Also, Mt. Olivet Cemetery (Salt Lake City, Utah), [“Aunt Lu”] grave marker; photographed by author, 11 Sept 2015. Pamela Smith Hill, Laura Ingalls Wilder, A Writer’s Life (Pierre: South Dakota State Historical Society Press, 2007) 3. Also Donald Zochert, Laura: The Life of Laura Ingalls Wilder (New York: Avon, 1976), 221. Pamela Smith Hill, Laura Ingalls Wilder: A Writer’s Life (Pierre: South Dakota State Historical Society Press, 2007), numerous pages. Also, Barbara M Walker, “Ghosts in the Little House?,” The Best of the Lore (DeSmet, SD: QQP/Midstates, 2007), 40. Pamela Smith Hill, “Mini-Lecture: A Research Update on Rose Wilder Lane and Her Infant Son,” Missouri State University, Laura Ingalls Wilder: Exploring Her Work and Writing Life, Part I (CN-1622-LAURA-INGALLS-WILDER), Module 3, Biographical Overview, Part 3, (Accessed via Canvas Network: 14 Sept 2015). Hill Pamela Smith, “Mini-Lecture: A Research Update on Rose Wilder Lane and Her Infant Son,” Missouri State University, Laura Ingalls Wilder: Exploring Her Work and Writing Life, Part I, Module 3. Also, “Utah Death Certificates, 1904-1956,” database with images, FamilySearch (https://familysearch.org/pal:/MM9.3.1/TH-267-11664-60537-86?cc=1747615 : accessed 15 September 2015), Salt Lake > Salt Lake City > 1909 > image 1246 of 1404; citing series 81448; Utah State Archives Research Center, Salt Lake City, Utah. Mt. Olivet Cemetery (Salt Lake City, Utah), undated map, cross referenced with office records for Nov 1909 burial of Infant Lane, privately held by author, Salt Lake City, 2014. Also, “Mt. 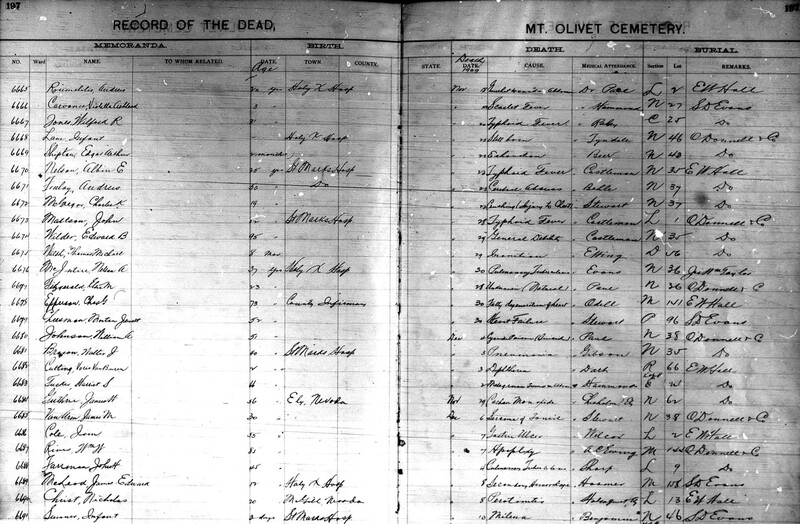 Olivet Cemetery Reocrds,” Salt Lake City, Entry number 6668 for Lane, Infant, page 197, FHL film number 26,552. Mt. 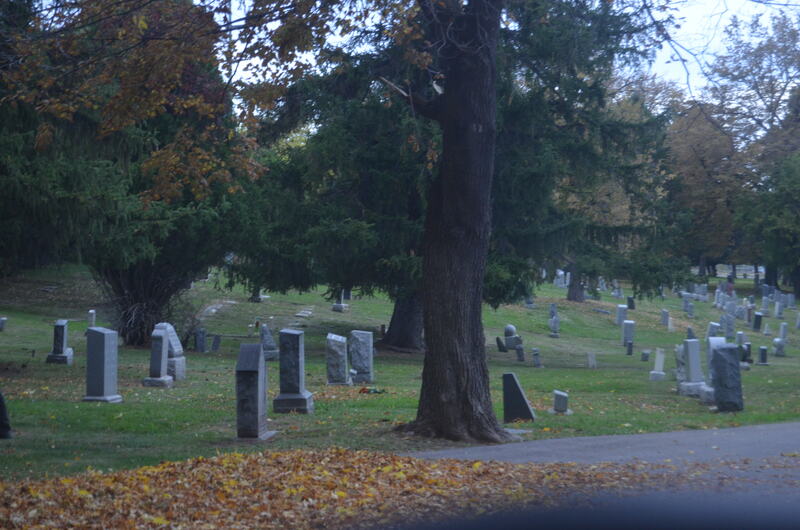 Olivet Cemetery (Salt Lake City, Utah), proximity based on personal knowledge and reading of “Aunt Lu’s” grave marker by author, 11 Sept 2015. Thank you, Jana! I’m honored!